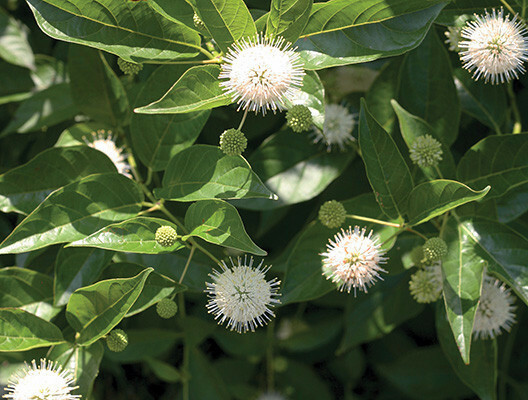 Sugar Shack Buttonbush is a smaller version of buttonbush. It reaches a height of 3-4 feet and a width of 3-4 feet. 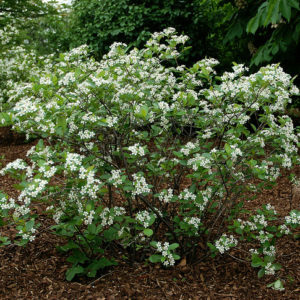 This three season shrub has sweetly scented white flowers in the spring and red fruit in the late summer. Foliage emerges glossy red, turns to green, and then turns to burgundy in the fall. Adapts well to multiple conditions. 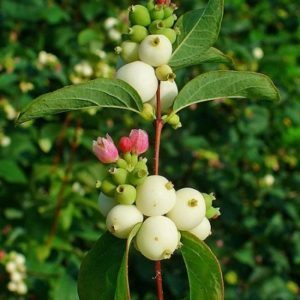 Attracts butterflies, hummingbirds, and other beneficial insects. 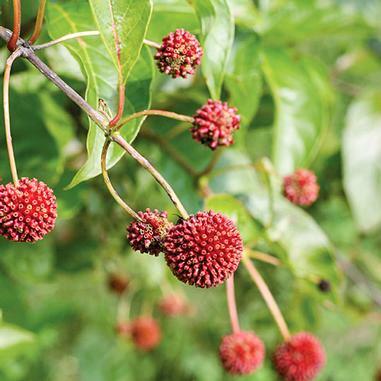 Grows best near rain gardens or moist sites. 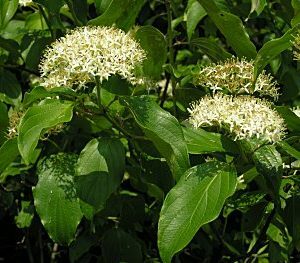 This is a cultivar selection of the native Buttonbush (Cephalanthus occidentalis).